The Door Monkey locks doors in a slight cracked position to allow fresh air to circulate thoughout a secured room, and protect little fingers form painful door pinch injuries. The Door Monkey works with standard interior doors and frames, and any style door knob or lever, and it can be unlocked from either inside or outside the room. The adjustable height and easy operation makes it a perfect solution for kids with younger siblings (and great for pet too! 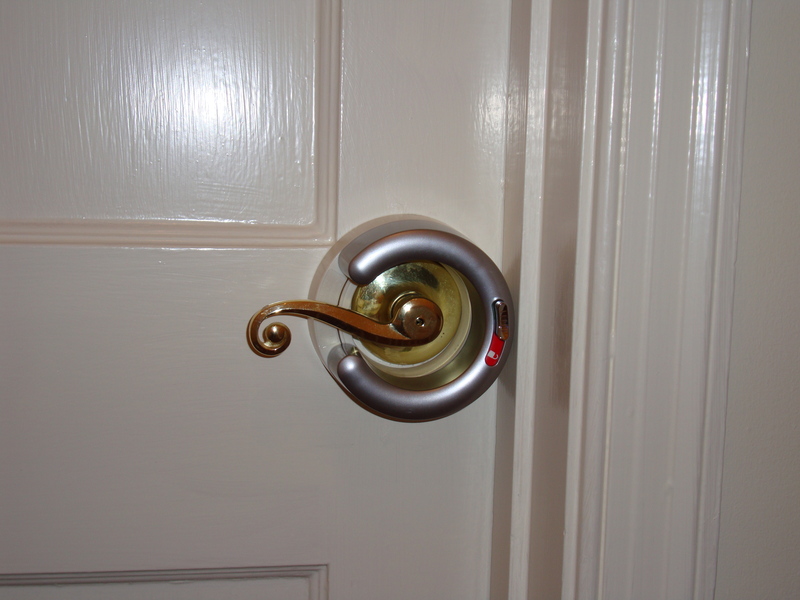 For Lever Handles, this special lock keeps tots from opening doors with lever handles. The device Door Lever Locklocks and resets automatically after each use. The Pro-Grade Lever Door Handle Lock works with the natural motion of the door handle. The push and slide action indicates the lock and unlock positions. And for any door, keep it from swinging with grippers to assist in hold the door in open position. The Under Door Gripper prevents slimming doors and pinching little fingers, and especially useful for swinging doors. For secure sliding doors, windows, and even smooth surface shower doors, use the Sliding Door Lock. 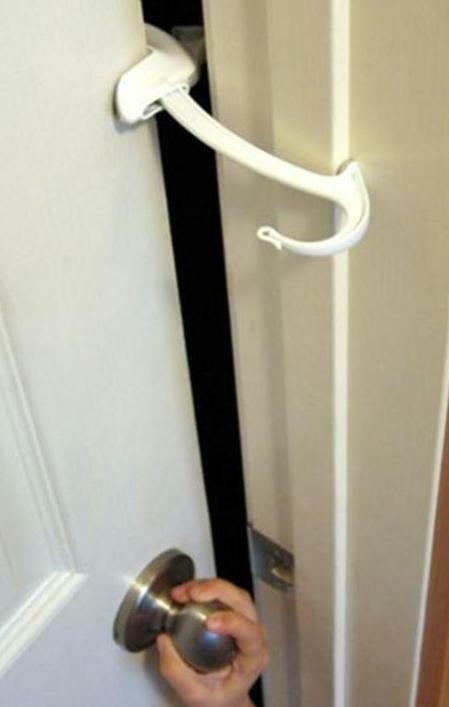 Simply flip up to lock, fold down and the front of the door slides over the lock. 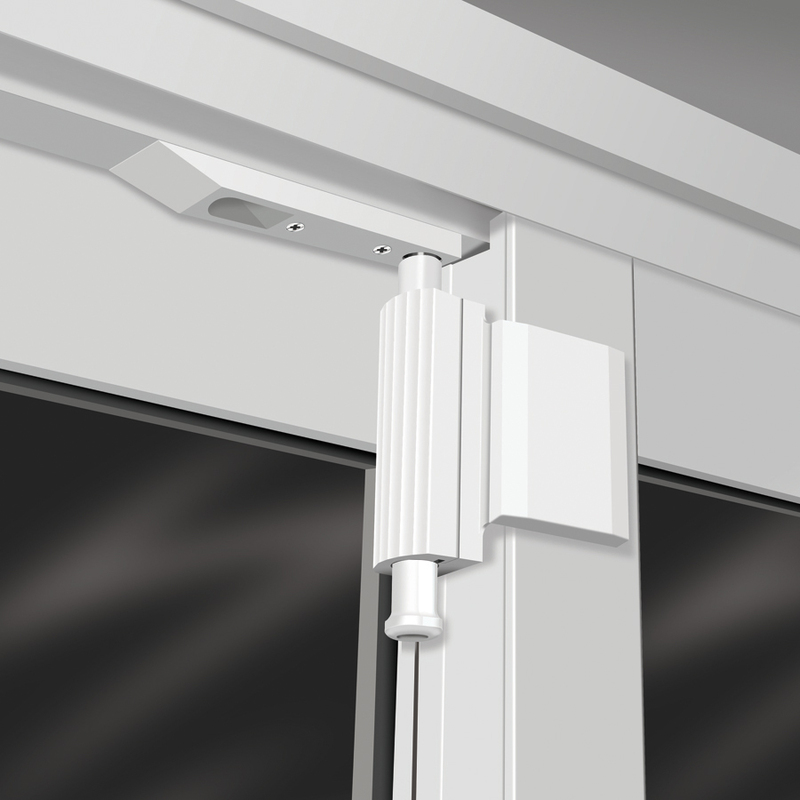 The Patio Door Guardian effectively secures and childproofs sliding patio / deck doors. Created with home security in mind, this lock is ideal for childproofing. 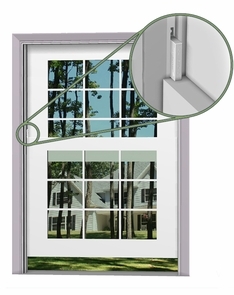 The Patio Door Guardian also allows you to lock the door with a 3” gap for ventilation, without sacrificing security. Leaving windows open and unlocked has not been an easy option until now! A Window Warden window guard allows windows to open up to a maximum of 4 inches but prevents them from opening further. Enjoy fresh air safely, and keep tots safe, as well as adults who need supervision. Easy for adults to disable to open window wider. between the outside of the drawer side and the cabinet frame, it doesn’t have the restrictions that other latches have with large countertop overhangs for European designs. Baby and Pet Proofing Professionals like Bill go through extensive training before they enter your home. 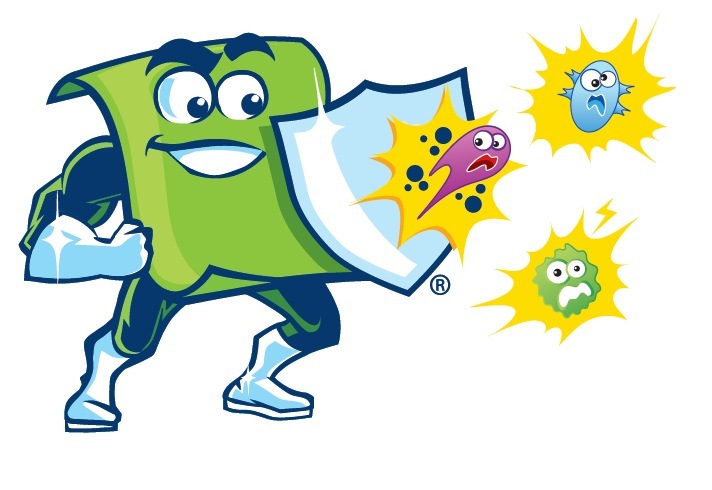 I would make sure the Baby Proofing service that you call on is certified and a member of IAFCS. A regular contractor may know how to drill and measure but the professional baby proofer understands your needs with regard to your child’s safety. This ends our series on baby and pet proofing the home. 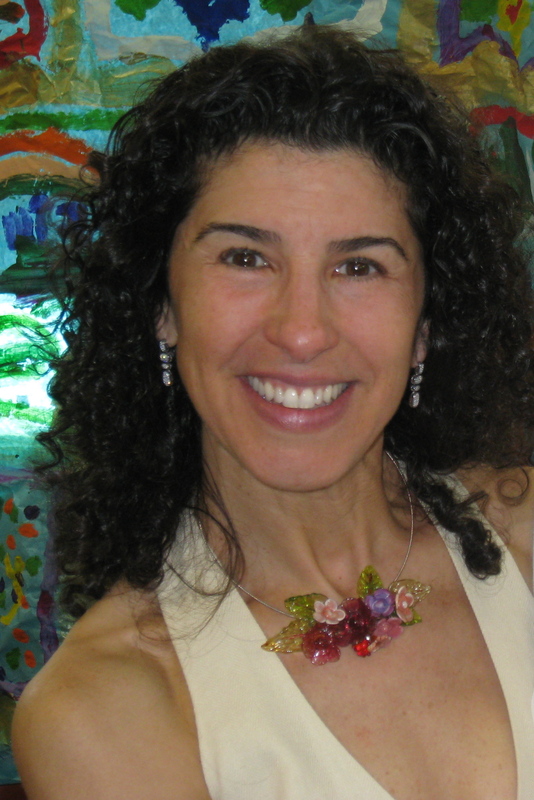 This entry was posted in Dr. Doormat Blog, healthy family and tagged baby proofing, child proofing, child proofing products, child safe, child safety, locks and security, protect your baby, window safety on October 3, 2012 by debbiedrdoormat. to turn out to be a victim of burglary.